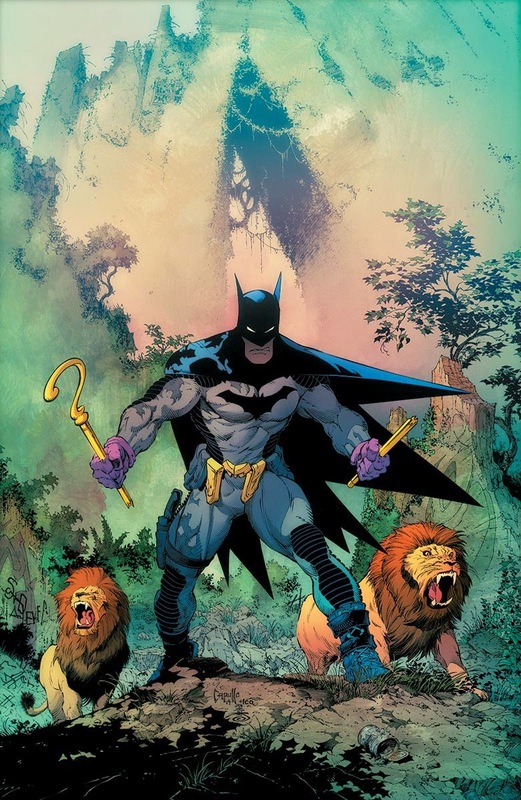 Batman #33 - $4.99 - This is a total no-brainer: the finale in the year long Zero Year, and it's been awesome up to this point. Between Snyder's clever and surprising story, Capullo's cinematic art, and the unique color palette this story's gone with, it's easily the best thing at DC right now. 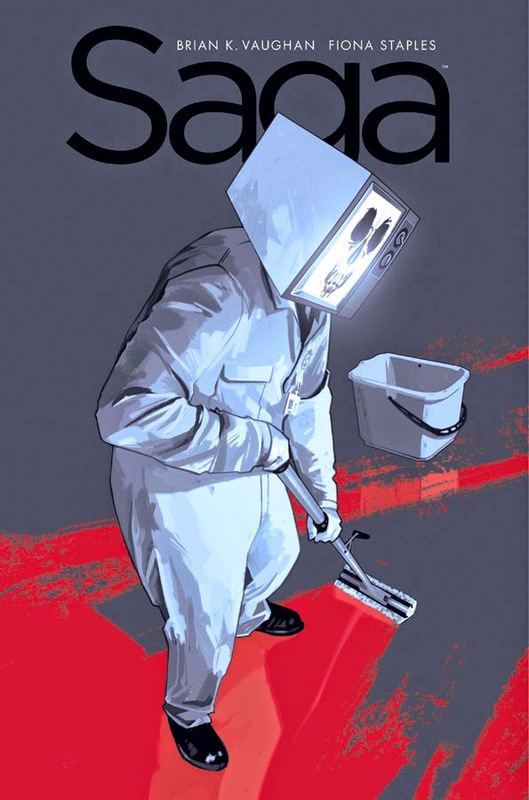 Saga #21 - $2.99 - The jump ahead in time a couple issues back was fun and a nice change of pace, but it was the violent introduction of the new robot character that closed out the last issue that makes this one such an exciting release. It's always a must-get, but this issue's especially intriguing. 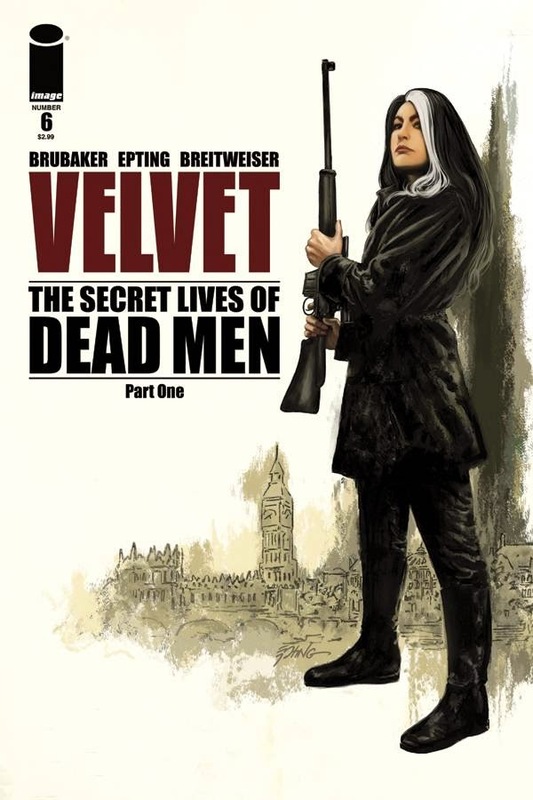 Velvet #6 - $3.50 - It's been a bit since we got an issue of Brubaker and Epting's excellent reworking of the spy story that GeekRex has been raving about since issue #1. If you've been interested, this is the beginning of a new arc and a great place to jump on! 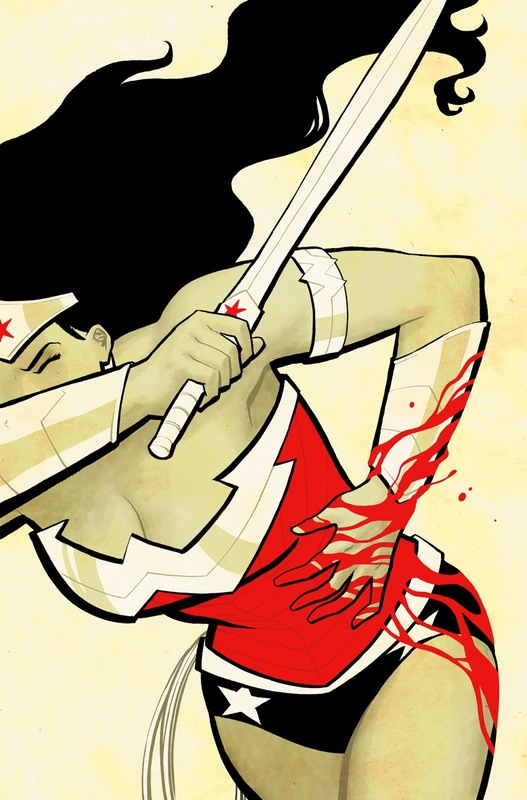 Wonder Woman #33 - $2.99 - We're nearing the end of one of our favorite titles at DC, and while it's always a great read, the eminent finale makes this one worthy of your comics dollar. 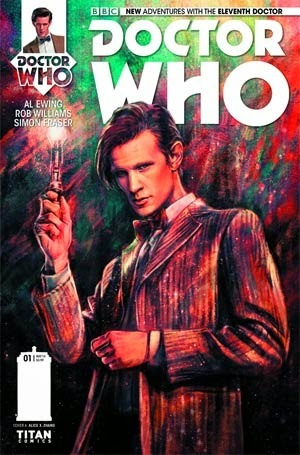 Doctor Who: The Eleventh Doctor #1 - $3.99 - The Doctor is not new to comics by any means, but now Titan Comics has control of the rights and is celebrating by releasing a new set of on-going series. Both the Tenth and Eleventh Doctors (played by David Tennant and Matt Smith respectively) are getting their own series with a series based on Peter Capaldi's Twelfth Doctor coming later this Fall. With Al Ewing on writing duties for the Eleventh Doctor's new adventures, consider at least this one a must buy first issue. You may not have heard, but we are a little over a week away from a certain Guardians of the Galaxy movie being released. Thanks to the film, a lot more people have now heard of Marvel's intergalactic team of misfits. 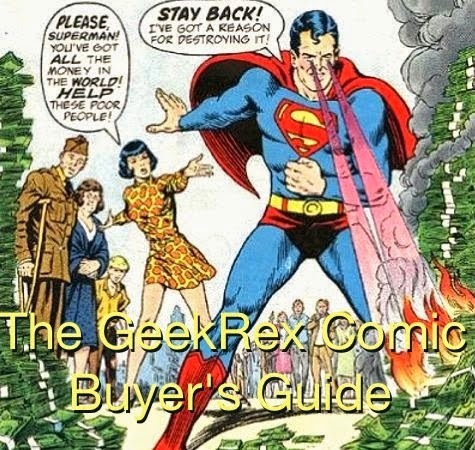 What you may not know is that the upcoming film is NOT based on the current run by Brian Michael Bendis, but is instead based on what was written by Dan Abnett and Andy Lanning. 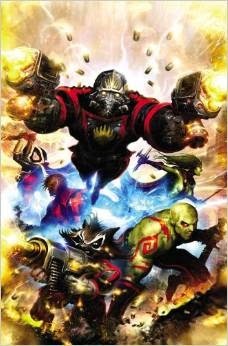 Running from 2008 to 2010, the second volume of Guardians of the Galaxy featured the team you will be seeing on the big screen as well as Quasar and Adam Warlock. The run has been out of print for quite some time, causing a lot of frustration for those curious to read it after the film's announcement (leading many who had the trades to sell them for quite the profit on eBay). Even if the movie ends up not being too great, at least this run on Guardians, quite popular among readers, is now coming back into print with two sets of Complete Collections. Volume 1, releasing this week, will collect issue 1-12 of the 25 issue run. Volume 2 collects issues 13-25 and is coming before the end of the year. If you find yourself curious about what James Gunn and Marvel Studios found so intriguing about this property, this trade paperback collection is a must buy. NOTE: Comic shops will be the only place you will be able to get this collection starting this Wednesday. Book stores, including Amazon, will have the collection beginning August 12. Click here to grab yourself a copy!